I have recently come across a problem where a custom list form i created using SharePoint designer was displaying the HTML directly instead of rendering it. 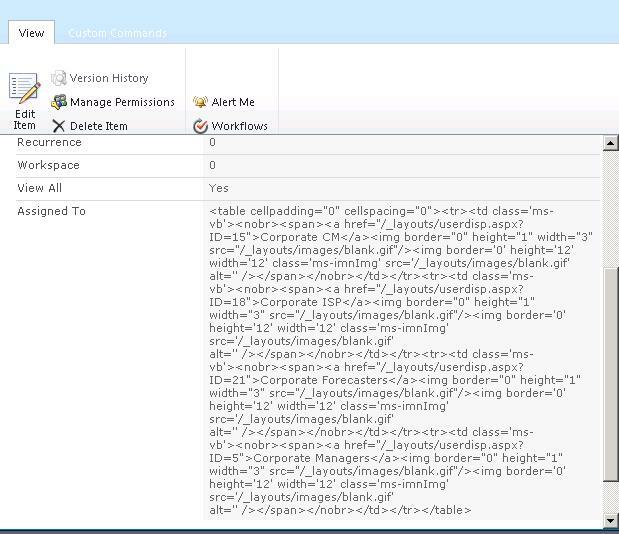 As shown above the HTML for the Assigned To column value is not being rendered. To overcome this you just have to add a simple property to you XSLT. Select the HTML that is displayed and go to the code view. As you can see, this time the HTML is rendered properly. 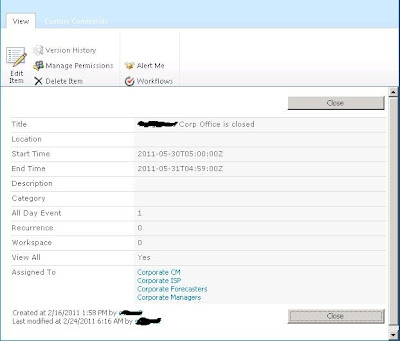 SharePoint 2010 using Designer 2010 Forms editor. 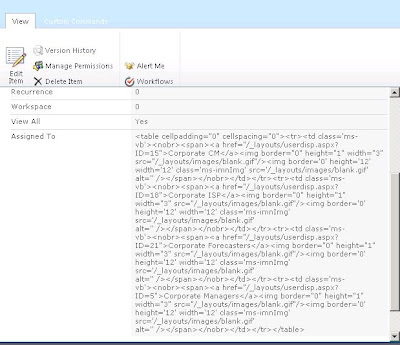 I added this as you describe above and I'm receiving the following in the design view: "SharePoint Designer cannot render the XSLT in this Data View. Try to undo your changes or re-insert the Data View." "Failed setting processor stylesheet : 0x800040005 : Attribute 'display-output-escapling' is invalid on 'xsl:value-of'. Then when I hover over the statement in code view it says "In XHTML 1.0 Strict the attribute 'display-output-escaping' is not permitted for the <xsl:value-of. tag.". It was correct for me. <>at first and final "xsl:value-of select="@Usuario" disable-output-escaping="yes"></xsl:value-of"